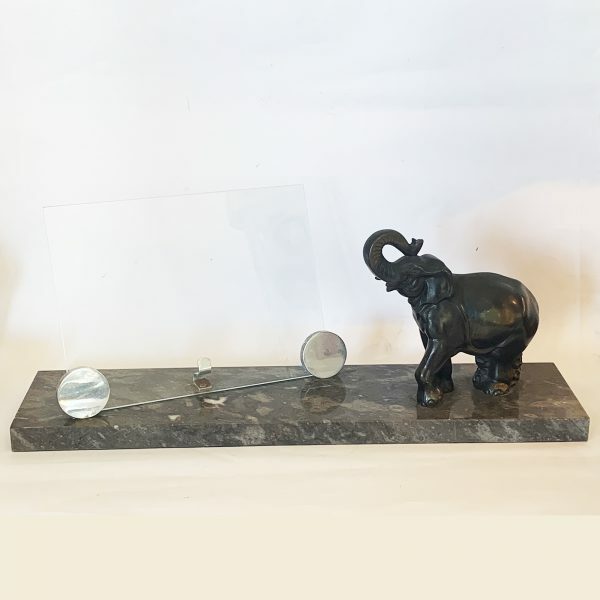 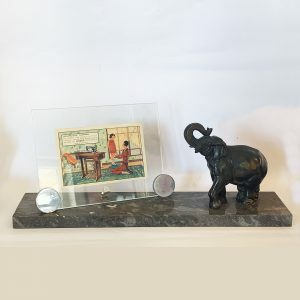 Art Deco Photo Frame Elephant on Marble, “Fonte de Art”, meaning “Art from the Font”, meaning the font to be bronze, to coat the statue which is then cold painted to suit. 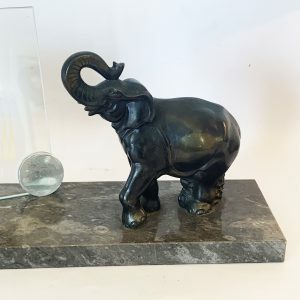 The elephant is standing green, fossilised Marble, and the base still has the original paper protection layer to base to assist non scratching to French polished surfaces, etc.. 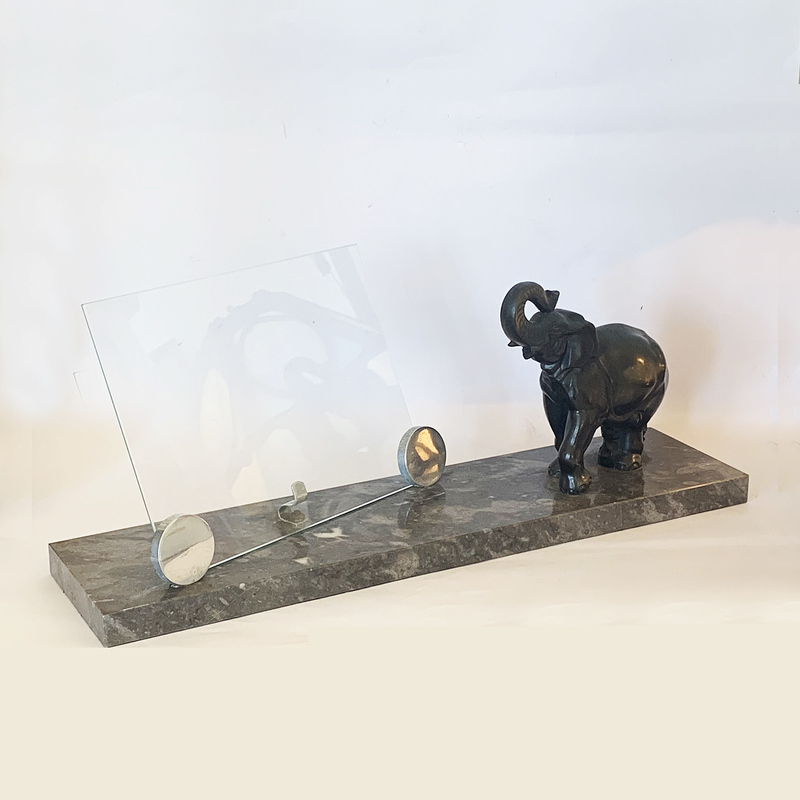 The glass is supported by 2 polished Aluminium disks at the front and a central tab at rear to hold the 2 layers of glass in position. 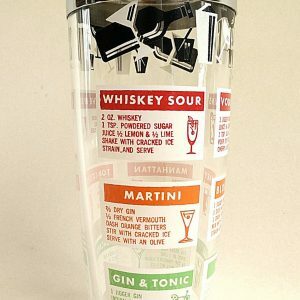 The glass can be placed Portrait or Landscape, and could be enlarged as the supports will support the next size in Photo Standard sizes. 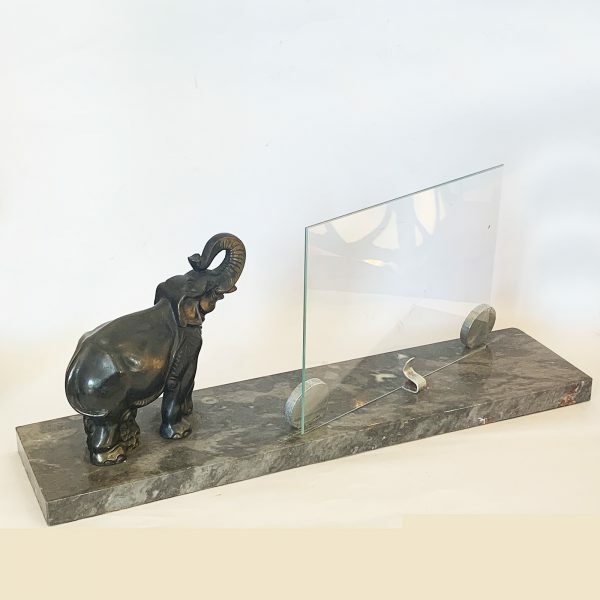 Dimensions approx..: Marble base, 40cm x 10cm x 2cm thick; Elephant, 13cm high x 14cm long x 6cm wide max. 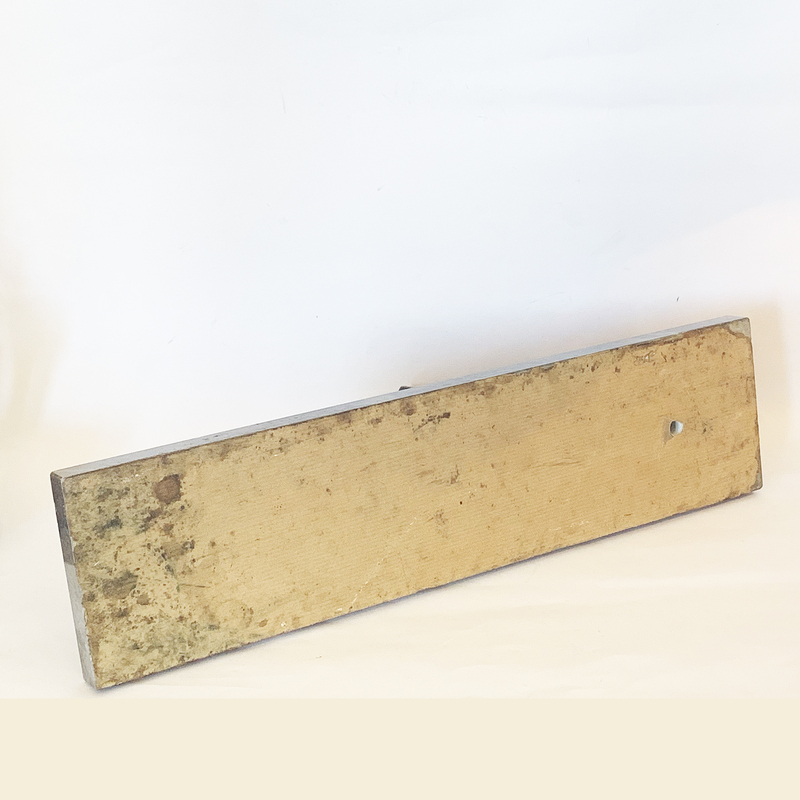 ; Aluminium discs 3.5cm dia. x 0.5cm thick; existing glass 20cm x 15cm ( but larger could be installed).